Forget "winter is coming." Winter may already be here for HBO. It looks like the cyber security incident affecting the "Game of Thrones" network may be getting a lot worse. 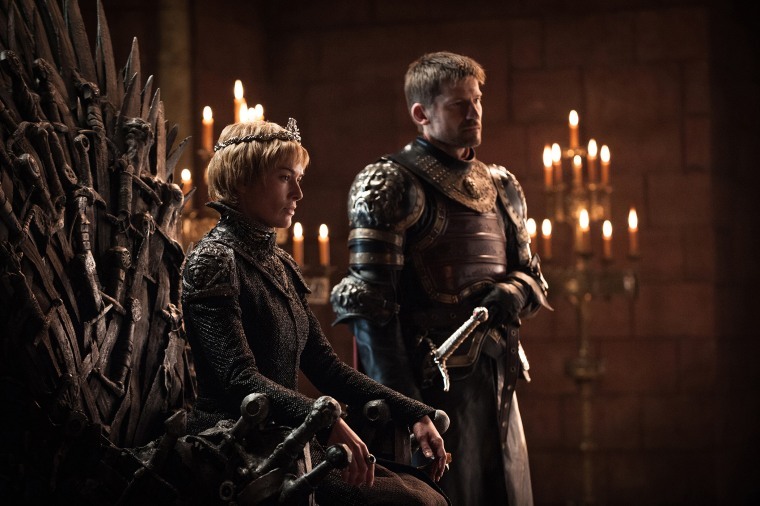 The person — or group — who claimed last week to have hacked HBO has now released what appears to be a trove of stolen information — and the network has called in the FBI for help. Those documents are said to include "Game of Thrones" scripts, personal emails that belong to an HBO executive, and other proprietary information, according to reports. "HBO believed that further leaks might emerge from this cyber incident when we confirmed it last week. As we said, the forensic review is ongoing," an HBO representative told NBC News. "While it has been reported that a number of emails have been made public, the review to date has not given us a reason to believe that our e-mail system as a whole has been compromised." The apparent hacker or hackers, who go by the name "Mr. Smith," also released a video addressing HBO Chairman and CEO Richard Plepler, demanding the company pay a ransom in order to stop further leaks, according to the Associated Press. NBC News has not seen the alleged video. However, in it, the hackers reportedly ask for their "six-month salary" to be paid in Bitcoin — implying that the figure would be around $6 million. HBO has not commented on the scope of the breach nor the specifics of what was stolen. Last week, material that had yet to air from "Ballers" and "Room 104" was apparently leaked online, according to reports. Various reports claim the hackers have 1.5 terabytes of data. For some perspective, 1 TB can hold an estimated 500 hours worth of movies, according to a ballpark estimate from PC Ninja. Mr. Smith also reportedly claims HBO is its 17th target — and that only three others have failed to pay. The FBI does not support paying ransom to criminals and has, in previous instances, made the point that there is no guarantee a victim's proprietary information would be returned. The FBI's Internet Crime Complaint Center — also known as IC3 — collects reports about internet-facilitated crimes. "Paying a ransom emboldens the adversary to target other victims for profit, and could provide incentive for other criminals to engage in similar illicit activities for financial gain," the FBI wrote in a bulletin last year. However, the decision is ultimately up to the victim. The FBI said "it recognizes executives, when faced with inoperability issues, will evaluate all options to protect their shareholders, employees, and customers." HBO's statement said the company's team is working "around the clock with outside cyber security firms and law enforcement to resolve the incident. Meanwhile, our dedicated employees continue to focus on delivering the high quality of entertainment and service for which we are known." The hacking nightmare — just the latest in a string of incidents that have shaken Hollywood — unfolded last week, prompting Plepler to break the news to employees in an email on July 31. “Any intrusion of this nature is obviously disruptive, unsettling, and disturbing for all of us. I can assure you that senior leadership and our extraordinary technology team, along with outside experts, are working round the clock to protect our collective interests," he wrote. Despite it all, some "Game of Thrones" fans are vowing not to look at the leaked materials. Netflix fell victim to hackers earlier this year when some episodes of "Orange Is the New Black" were leaked prior to the series' June release date. However, sometimes an alleged hack isn't quite what it seems. Some hackers have been known to overstate their claims. Earlier this year, Disney was the target of a hoax, in which hackers claimed to have a copy of the newest "Pirates of the Caribbean" film in their possession.